Students from local secondary schools aren’t the only ones representing Waterford at the BT Young Scientist & Technology Exhibition, the Southeast will yet again have one of the largest, most interactive, entertaining and educational stands at the exhibition. This amazing Waterford Science Region stand co-ordinated by Waterford Institute of Technology (WIT), will illustrate the wealth of science, technology, engineering and maths (STEM) in the Southeast and is part of the ongoing efforts to create a region of STEM. 30 volunteers of WIT staff and students, joined by industry professionals to provide hands on interactive science activities ranging from touch tanks to robotics. The Waterford Science Region stand is always one of the busiest at the exhibition, and WIT’s STEM outreach centre Calmast (Centre for the Advancement of Learning of Maths, Science and Technology) works with students and teachers in Waterford and across the Southeast all through the year. One of the organisers Dr Sheila Donegan, says that WIT is delighted to support the terrific BT Young Scientist and Technology Exhibition for the 14th year along with industry and local government partners. “Visiting the Waterford Science Regions stand at this great exhibition or taking part in one of our many events throughout the year open to primary and secondary schools is a great chance to find out the excitement and wonder of science outside of the classroom,” he adds. Visiting the BT Young Scientist’s exhibition? Call to the Waterford Science Region stand where you can discover the wonders of science, the ingenuity of engineering and the magic of maths in a fun and interactive way. Explore microbes and freshwater macro-invertebrates and meet Bengie and other robots. Robots built by electronics students will also feature as well as chemistry magic demonstrations. Bausch & Lomb and TEVA will be showcasing the latest developments from the Healthcare / Pharma industry. 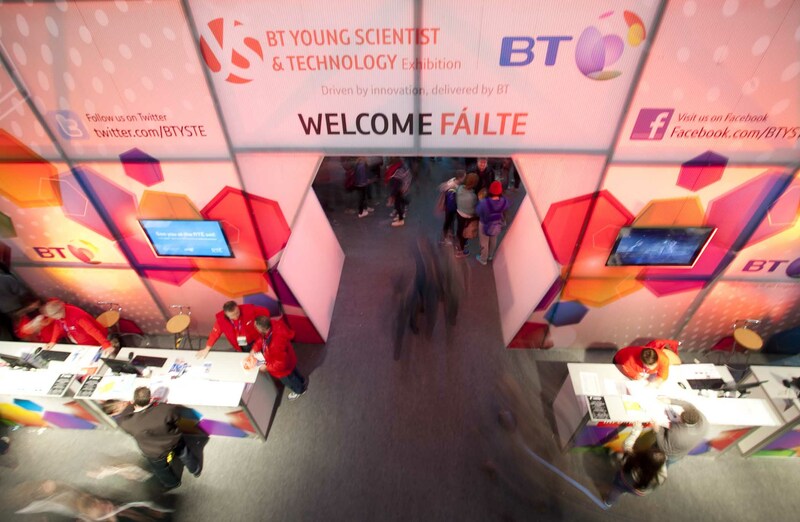 The BT Young Scientist & Technology Exhibition is a must for anyone with a passion for science and technology. For information, log onto www.btyoungscientist.com, check out http://www.facebook.com/BTYSTE, follow on twitter at #BTYSTE or call 1800 924 362. The exhibition will incorporate the 550 secondary school student projects that were shortlisted from over 2,000 entries for display at the event. As well as that, there is a jam-packed programme of events, including creative inventions, interactive education and mind-blowing live shows. Tickets are available at the door costing €6 for students, €12 for adults and €25 for a family pass which includes 2 adults and 2 children.